We say that in Texas so TheBoss knows for sure we're back! Yep, I'm Baaaack, Ya'll for Pink Saturday! I've missed a FEW here lately and I've missed YA'LL! 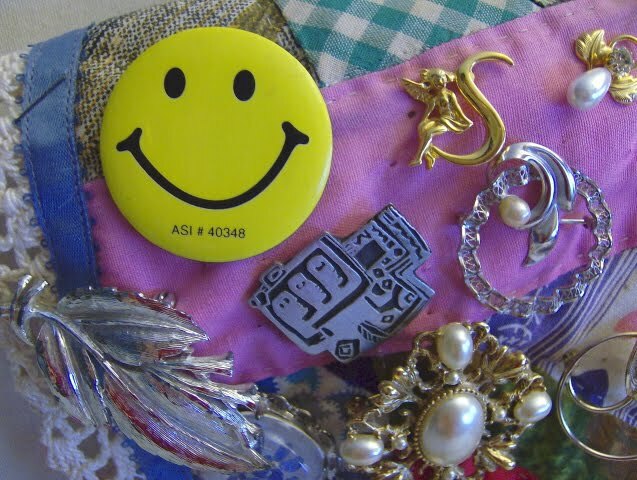 So, today I'm SMILIN and HAPPY to be back to visit all the Pinkies on The List at Beverlys at How Sweet The Sound. Ya'll be sure and 'SignIn with Beverly', the Sweetest Boss in BlogLand! Have you heard the phrase..."It's a Sign of the Times"? It's the best way I can describe why 'I've Missed a FEW'! So here's a FEW Signs of My Times! 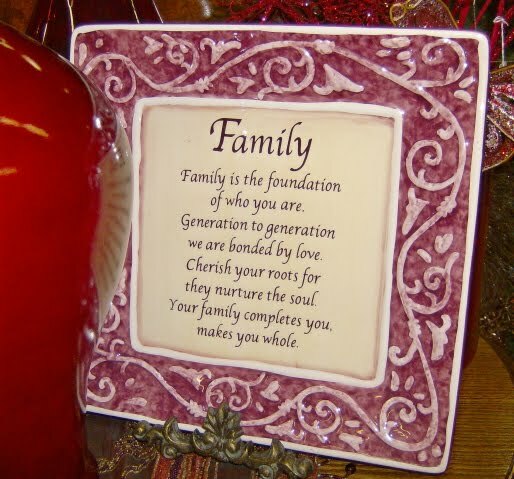 About The Family Sign...A member of my Family is ill and I've been 'Cherishing~Nurturing' and Praying. Thank-you for your Prayers for Stacy! PS...This sign was such good news to me. 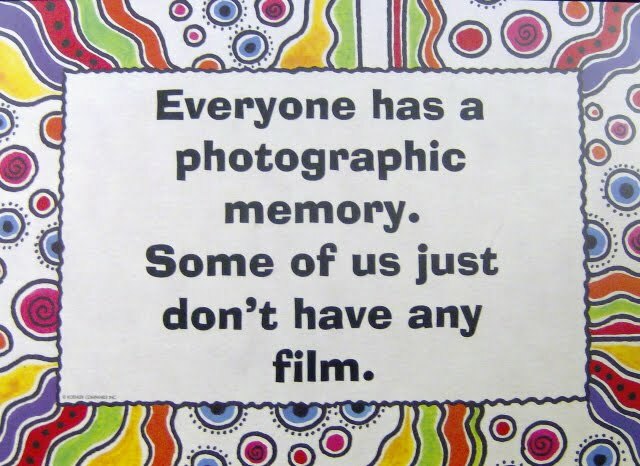 I always wanted one...photographic memory! PPS...Now I know why I don't have one! HI Sue! Love your pinkness of sign! I remember a song by Petulia Clark in the 1960s call 'It's a Sign of the Times'. So now I'm going to be singing it now! I'm having my very first blog party on May 7th and I do hope you'll come! I have a little button on my sidebar that will tell you all about it. Love the sign and sorry for you families troubles. Illness is very hard. Praying and hoping you and your family are better soon. I'm not pinking it up anymore. I'll still come visit YOU though and that will be my Pink Saturday dose. Yes, still holding Stacy in my prayers as well as you, sweet friend. I'm so glad I know you. You are SO special. Sue, Glad your back, missed ya! Love the framed Family pic and the sign. I've never heard that before-I'm sure I'll rememember that one. Have a pinky day. Prayers for you and family thank you for chuckle! Welcome back and I so hope that your family member is doing better. I will be praying. You know I always thought I had a photographic memory. Now I know why I can't remember anything, ha! Hope your family is well! Glad you could post today, your family will be in my prayers. I hope your family member is on the mend! Sue, you are the best! I guess I don't have any film either. Hope things are improving for your loved one. All the best to you. IT TAKES ME A WHILE TO GET AROUND TO EVERYBODY ON PINK DAY. I LOVE YOUR SIGN ABOUT FAMILY. I HOPE AND PRAY EVERY ONE IS ON THE MEND. Saying a prayer for you & yours Sue! And sorry for such the late visit- yesterday was my son's prom- who said getting a girl ready takes more time? Happy late PS, and hope you have a great week!